STEPHEN I. DIAZ was born in Bacolod City, Philippines. He grew up following all sorts of pageants, and had even hosted dozens of them while growing up. His first pageant hosting job was when he was only twelve years old. Stephen is not just your ordinary pageant follower. He graduated at the top of his class both during elementary and high school, and was awarded the Philippine Senate Gold Medal for Academic Excellence, Best in Mathematics, as well as a special citation in the field of campus journalism. In March 2000, he finished his Accountancy degree at the prestigious University of St. La Salle, where he was active in various organizations as well as organizing and hosting campus-based pageants and college night outs. Before graduating, he topped the Philippine leg of the Monbusho Scholarship Program Exam, which brought him to Tokyo on a full-time scholarship grant by the Japanese government. He finished his Bachelors of Economics degree at Saitama University on March 2005. While in Japan, his first job as a pageant correspondent was through the online pageant magazine Missosology where he covered the Miss International 2003 pageant. It was followed two years later with his exclusive reporting of Miss International 2005, where his fellow countryman, Precious Lara Quigaman, had won. He also continued to cover the 2007, 2012, 2013, 2014, 2015, 2016 and 2017 editions of the pageant. On December 2013, he witnessed another victory for his country when Bea Rose Santiago captured the fifth Miss International crown for the Philippines. Three years later, Kylie Verzosa won the sixth pearl crown for the Philippines. In fact, Stephen was the one who escorted Kylie to meet with Philippine President Rodrigo Duterte during his state visit in Tokyo on October 2016. The photo of Kylie and Pres. Duterte together, which was taken by Stephen, went viral afterwards. Aside from Miss International, Stephen has covered Miss World 2016, and the local Miss Universe Japan, Miss Earth Japan and Miss International Japan beauty pageants. 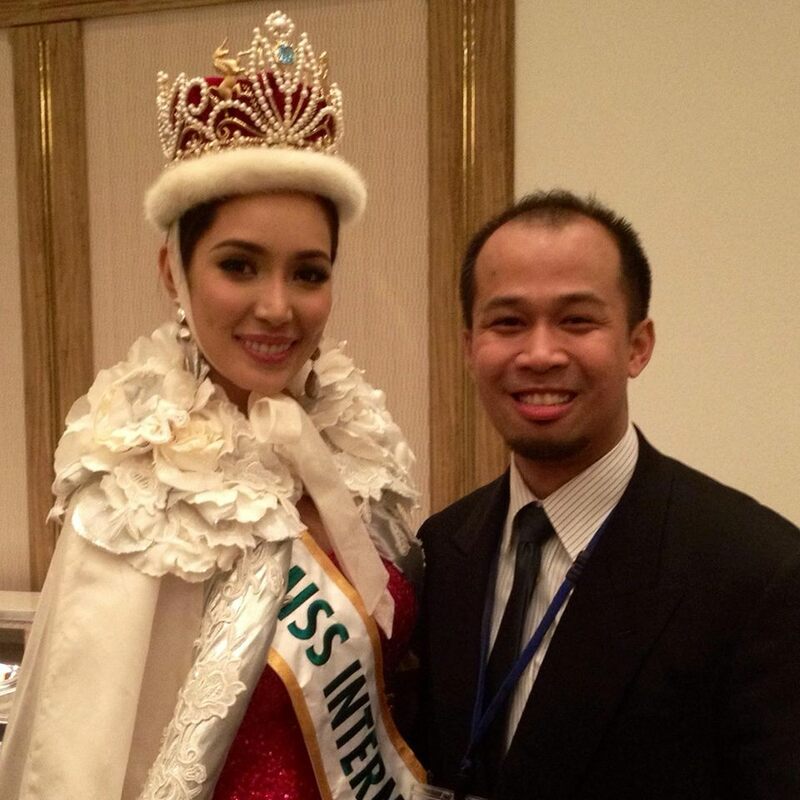 He has personally met and interacted with several Japanese beauty queens. He has also interviewed numerous international beauty queens, and has helped them prepare for their respective pageants. He has been a part of the creative team, and has hosted the Miss Supranational Japan competition since 2016. Currently, Stephen is also one of the main writers at Missosology, and is the leader of Missosology Japan. His predictions of the outcome of the BIG 5 Pageants are well followed by members of the Missosology Forum.